Broken Dreams Club: My Melody Cafe and Shibuya Shopping! My Melody Cafe and Shibuya Shopping! I am so happy that I finally made it to one of the kawaii themed cafes in Parco! My friend Natalie and I got to the My Melody Cafe at around 11:15 am, 15 minutes after it opened and the wait was already about 2 hours long but we happily got on line and stayed there for the whole 2 hours. We were the only non-Japanese people in line and I was kind of surprised. The two hours passed very quickly and when we approached the entrance of the cafe, one of the staff members allowed us to place our orders in advance. Is this a good look for us? We decided to just order dessert food because it looked cuter. We did not plan this in advance so lunch became dessert. I never claimed to be a health blogger. That being said, I would not recommend this route without eating something in advance. We both ordered this iced latte. It was really cute but also kind of strange. The top layer was this thick, strawberry creme and the coffee was just the part with ice underneath. The cream on top just kind of stayed there like it was floating in the cup as we drank the coffee part. But we eventually mixed it in and it tasted pretty alright. The stenciled My Melody character tasted like it was made of powdered dried strawberries. I ordered this cute roll cake with strawberry creme that tasted like what was in the latte. It also came with the fruit decorations and the themed cookie. It wasn't outstanding but it looked really cute so I wasn't mad. Natalie got this parfait that was really cute! I tried some of the strawberry flavored popcorn and it was really good. She said that there was some kind of jelly in the bottom of it. We also got to keep the placemats and coasters that came with our food. There was a souvenir shop and special limited gacha toys but we didn't get anything. I think that it was worth the wait just to have the experience but it's not like the food was particularly outstanding beyond aesthetics. I'll basically do anything for cute food, obviously. Since we were already in Shibuya, we decided to go to 109. If you don't know 109, it's one of the most famous malls in Japan and has many brand name stores. Some of the stores there include Swankiss, Punyus, Kokokim and Fig and Viper. We made a point to walk through the whole mall. 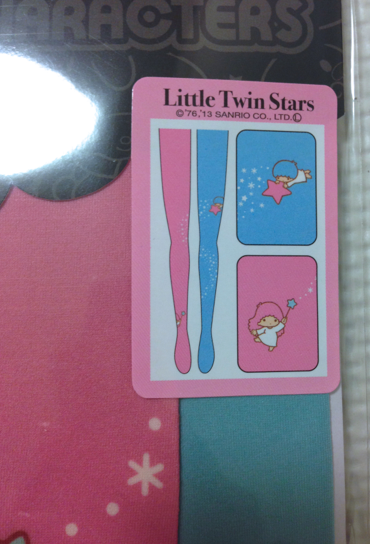 I don't have any photos because many stores in Japan are very strict about photographing their products. I can't wait to wear these when it gets colder!! At nearly every store we went into, someone who worked there saw my shirt and said "Sailor Moon, kawaii!!!" I had a nice conversation with the guy who was working at Swankiss and a girl working at Liz Lisa. Even when I was outside, a guy who was advertising for an izakaya yelled "月に代わって、お仕置きよ！" (in the name of the moon, I will punish you) after me. So embarrassing. We made a point to find the Galaxxxy store too and I hadn't been there in 2 years since I was last in Japan. I found that they had different things than what was listed in their online shop. There was a jacket I really wanted but I couldn't justify the purchase even though it was on sale. I was really into the video game themed clothing and things today. I think that's my new aesthetic interest. I aspire to be some kind of magical pixel space girl. For dinner, since we needed to supplement our dessert for lunch, we went to Uobei sushi! This is an amazing hidden gem of Shibuya. It's one of those sushi places with plates that are 100 yen (~$1) but the difference between this restaurant and others is that the sushi comes directly to you after you order it instead of you picking it up off a conveyor belt. It's really fun! I actually learned about it from my friend Elleanor. She shows clips of it in this video here! It should have been super crowded given what time it was and the price of the food but we didn't even have to wait. I think most tourists don't know it's there because it's on a side street. Another cute thing about this place is that when you order a certain amount of sushi, a rock, paper, scissors game comes up on your screen and if you win you can get a coupon or a coin for a sushi keychain gacha machine. We also went to LOFT which is this amazing store that sells all kinds of toys, stationery and electronics. They didn't have the Rilakkuma toys we wanted but they had these. These big Tara McPherson bunnies are the best and they reminded me of home because I miss working at her gallery/store. Fuchiko toys are so funny and strange. I'm kind of obsessed with them but I haven't even bought any yet. This display was amazing. 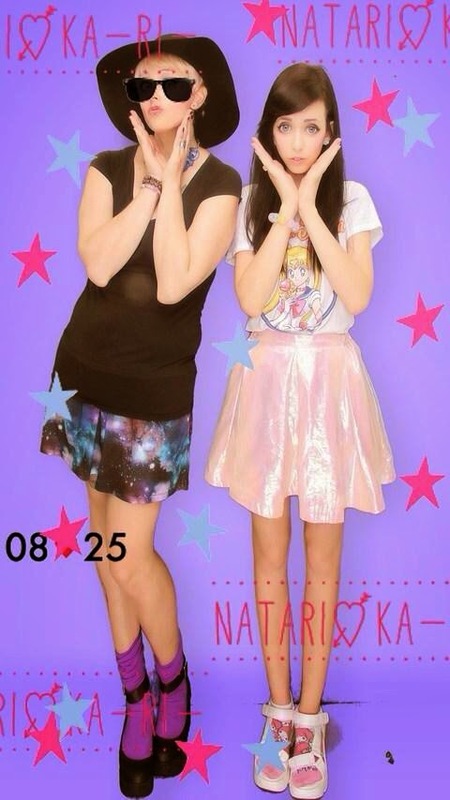 Of course no day is complete without purikura. I somehow managed to salvage this shot from my crappy flip phone, truly a miracle. They're much easier to access from a smartphone. Then of course, I had to get on a crowded train home and stand almost the whole 2 hours because my stop is last and no one knows that by looking at me so no one offers me a seat. It's always the worst and I feel so tired from walking at the end of the day, but I always somehow manage to get a second wind when I get home which is why this post happened. I'm sorry it was just iPhone photos today! Carrying my DSLR around all day can hurt my back/shoulders so I don't want to do it all the time. Thank you for reading and of course if you have any questions or comments, feel free to post them here or in my ask.fm.